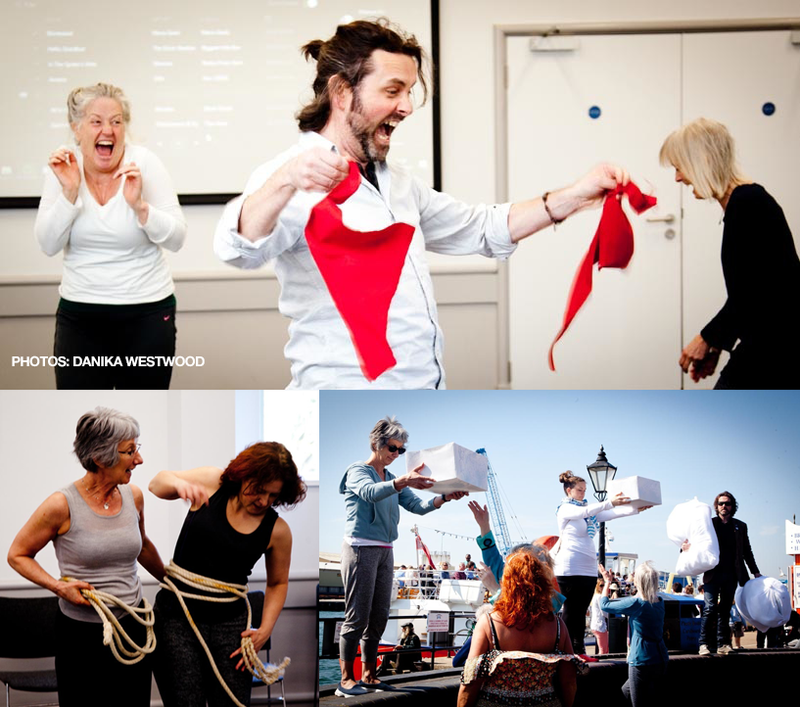 Momo joins the storytelling theatre partners to bring a sonic dimension to their exploration of Poole’s maritime history, and finds that workshops with volunteers can be a resonnant way to tread out the truth of a story. As their new film shows, the results connected magically with their audiences. Momo:tempo may be the compositional production house of Timo Peach, but he has always enjoyed doing a bit more than sitting behind a keyboard – and one Heritage Lottery-funded production for Poole Maritime Festival 2017 got the South Coast creative literally feeling his way through the writing of its score and sound. And it brought together old friends and new. 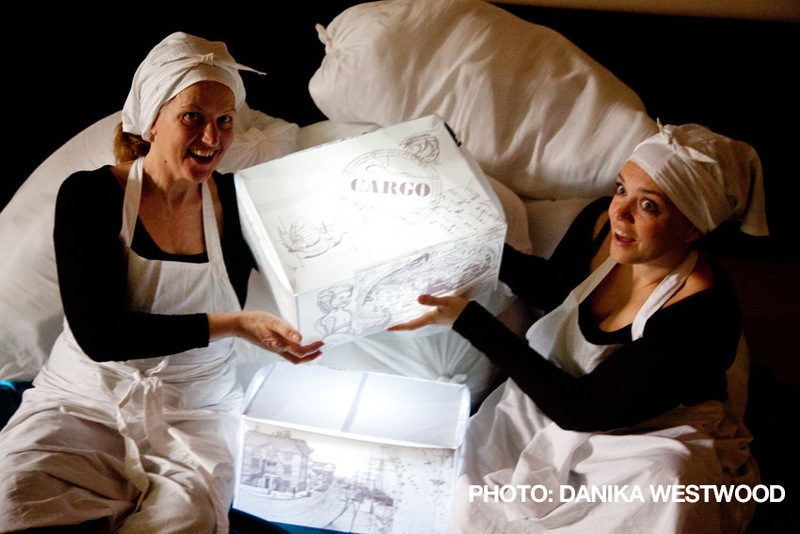 Valise Noire Storytelling Theatre’s project Cargo aimed to bring alive the heritage of an ancient south coast location, tapping into the human stories of relationship with the sea in Poole. Commissioned to time with both the town’s biggest celebration of its seafaring roots and with European Maritime Day, it pulled together community and schools participation, live shows on Poole Quay with a 32-foot Baltic Trader, and an exhibition at Lighthouse, the UK’s leading arts centre outside of London. An endeavour that all involved felt tapped into something deep in the local identity. Something that seemed to resonnate with local human life. As Momo himself discovered when approached by regular creative partners and chums Michele O’Brien and Hazel Evans, while the idea of the sea rings deep with people from the area, the project unlocked new appreciations of the human trail to where we are now, by using some affectingly experiential devices. And it worked on him too, in the process of writing and compiling music and sound for Cargo. “History was lived. Felt. Trodden through.” he says. “We’re odd creatures in that we easily seem to forget we are visceral – things come alive for us when interact physically. And walking through the discovery of the physical layout of Cargo helped to bring it alive for me. Those workshops helped us really feel what was in it, and it bound the team together. And in the end, the audiences to the truth in the performances. “It’s says as much about the approach of Valise Noire as it does the subject matter, I think” he adds. Storyteller and actor Michele and performance illustrator and writer Hazel, along with producer, poet and youth champion Colin Philimore, first spent a lot of time in the academic business of researching the broadbrushstrokes of Poole’s history, hoping to, along the way, unearth some of the human treasure of the personal stories shaped and caught up in maritime life in Dorset. Their aim was to help to “bring Poole’s maritime heritage out of the archives” for a wider audience to reconnect with. Delving into the work of Poole Museum and Dorset History Centre, the pair unearthed hundreds of letters, ships log details and historic moments. The next stage of developing the project was to take first selections of content and creative ideas around it into schools. Always, they say, a daring way to road test any theatre. 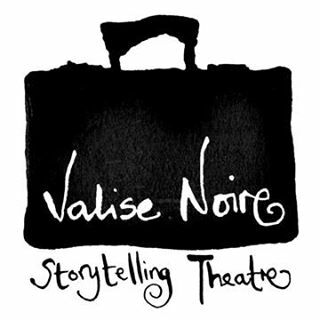 Valise Noire is used to shaping experiences that ring true for both adults and children, with their 2013 production, The girl and the shoes, created as a ‘double-sided fairytale’ – told once for a younger audience, and then again for the grown-ups, unearthing some of the themes below the surface. With Cargo, exploring the idea of themes above and below the surface seemed to flow together into a world of human experience that people of all ages really got. Timo concurs that the setting for Cargo is rich with themes and ideas to connect with. And it’s felt more and more personal to him. “My father had much more of an affinity with the sea than I did – he just weirdly loved tall ships. Even though, like a true “ruler of the King’s nay-vee” from his beloved Gilbert & Sullivan, he barely set foot on a boat” he grins. “But the sea rings with such echoes of the past, I’ve been feeling the salt in my blood more over recent years and an annual little sailing trip around the local waters with friends always quickly reminds me what a visceral experience life at sea just is. You’re at the mercy of not only the elements but your own preparedness. If that’s true for a recreational weekend bobbing about in the Solent with chums, with plenty of wine and cheese and homemade flapjack on board, piled beside the chartplotter and the GPS, imagine a whole life of it centuries ago, attempting to do regular business through it. “From the big drama of being separated from each other by great distances, or great forces beyond our control – the sea itself, and culture and politics – to the tiny, supremely human moments of inventories of goods, or little notes to loved ones, or garments and everyday tools… life with the oceans has shaped my own country so much especially it seems to be right there below the surface, running through our shared emotional bloodstream” he says. 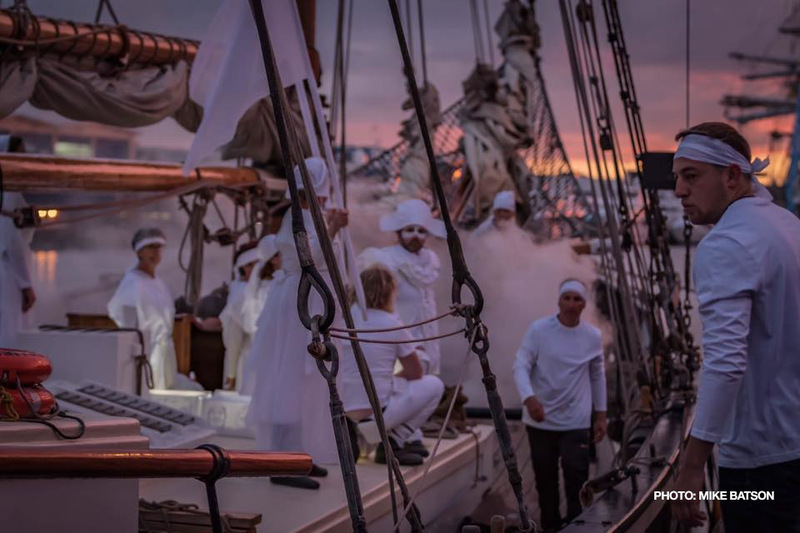 Having brought stories of the sea barrelling into a series of lively school performances, the next stage for Valise Noire was to shape that initial content into something tangible that could be shared in wider public, as part of Poole Maritime Festival. Valise Noire put a call out for volunteers to join in the workshopping up of some celebratory performances of all that they had been learning, exploring and beginning to share with the schools. For them, having players help to work out just what shape those experiences on Poole Quay would take was central. And Mr Peach got involved from the beginning. “By the time we got to the weekends of workshopping, we had some first musical themes on the board that we’d already had super feedback from with the schools work. We also had a raft of voice recordings from letters and books, along with the idea of life above and below the sea’s surface, so I had a fair bit in my mind when we rocked up to the Lighthouse rehearsal rooms and met each other as a new team of performers, to begin shaking it all down. And to begin with I simply kept all that in the back of my mind and joined in as any other volunteer, as Michele and Hazel walked us into feeling comfortable in our performance skins. “I tapped into my inner drama student and, y’know, muddled through” he says flatly. From developing types of movement to planning out sequences of character portrayal and a loose narrative, the workshops formed a series of set pieces depicting key moments in maritme heritage, broadly dividing the experience between a human sense of life above the waves, and a more symbolic sense of ocean life below the sea surface. One of the motifs was the Merman – a character derived from a recovered relic of the Swash Channel wreck. Remains of a 17th century Dutch merchant ship were found on the sand and shingle sea bed just outside Poole Harbour in the 1990s, but the raising of the giant rudder in 2013 with its carved face of ‘the merchant’, and of another wooden figurehead, ‘the merman’ unlocked characters for Hazel and Michele in the early approach of their storytelling of Cargo – and in the schools work, it is the merman who comes alive with a magical sense of ‘tales from the ocean floor’. 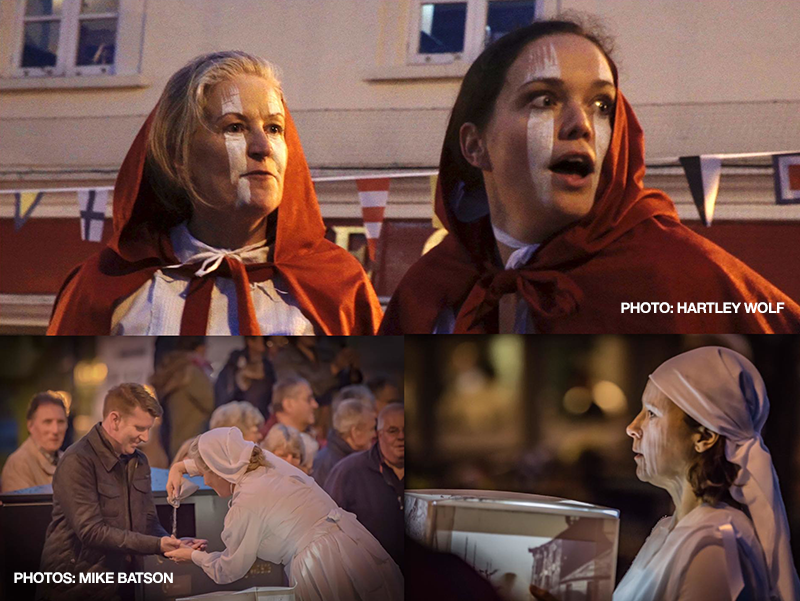 As the performance design came together, the 30 minute presentation shaped into an interuptive experience to an unsuspecting public on Poole Quay. Beginning with an elderly cargo rigger arriving and tying up as any such vessel might have done centuries ago, an otherworldly arrival of human figures lead a procession from the bustle and life of historic human port business to life below the waves in a conjoured shipwreck, to meet echoes and creatures of the depths. As Timo explains, the ghostly figures arrested attention, but the workshopped movements between different historic tableaus acted like windows onto Poole’s past. Piling up props in the roadspace as the characters disembarked – dock workers and ships’ crew unloading barrels and boxes and sacks as ladies in fine dresses paraded around them – the audience was then presented with artifacts and samples of cargo from times past, as the players opened the boxes and invited people to smell spice pouches and tea, hear letters and voices of memories from the archives and read some of the hundreds of poems sealed up like Georgian letters by schoolchildren from across Poole. All still using gestures only, the players lead a parade ‘off to sea’ where the Tudor march plunged into life below the waves, ending in the twilight at the just-refurbished Sea Music sculpture, to sounds of musician Fiona Barrow‘s melifluous improvised violin, and a call to embrace a notion of the sea’s own life and livelyhood. “Now, street theatre is a random experience,” says Timo. “and turning up on Poole Quay out of the blue, as we all did, with me perhaps most conspicuous in an especially elaborate and frilly ensemble, designed beautifully by Hazel to evoke the faint absurdity of historic merchant superiority… well, I didn’t know quite what reaction I and we would get. Art can arrive like something from another planet into everyday life – in some ways, just as it should” he smiles. From the stories of separation, the apparent injustice of many deportations and convictions, and the maritime connection to slavery, to the simple economic histories of fishing grounds in the north Atlantic, human life was found in the details, for performers, writers and audience. And Momo feels grateful to have been part of this first exploration of Cargo. “I am thankful, as ever, to not simply get to work with two such wonderful creative chums as Michele and Hazel, such great talents for storytelling and world-invoking, as well as the ever inspirational creative human champion, Colin. And of course to meet the great commitments to art that are our team, Hilary, Jackie, Jenny and Naomi, as well getting to hear touches of Fiona’slovely work accenting my own, and getting to work with Dorset art tech hero, Jo Myles. But especially to be part of this story in particular. It did quietly get to me. As former Mayor of Poole Councillor Xena Dion, who I know was instrumental in helping Cargo find its place in the Martime Festival, said to me: “every time we ask Poole people what matters to their sense of identity here, their maritime heritage comes top.” It may not sound a surprise, but that it is so near the surface of people’s consciousness is worth listening to.” concludes Timo. “While the final music arrangements shared on the Soundcloud playlist are like loved demos, ahead of possible evolutions of the show around the world, with live players, revisiting the mixes was still strangely emotional. And I wonder if it’s because I still feel the humanity of these stories just below my own surface, and of how this heritage actually connects us to the imperitives of now, and of the fearsome voyages of human life looking forward. “I think what resonnated for me personally, in the end, was a sense of connectedness. Of how connected we are to the history, the heritage, of martime life – of the people who forged and lived it in previous eras – but also to the sea itself. The organism of it. The need to work as part of that natural system. Protect it, champion it – and celebrate our place in it. Download a complete version of the musical performance pieces, drop them in order into a playlist and explore Cargo in headphones. Grab a glimpse of more of the daft and beautiful moments from the performances and schools work.